Read about how proceeds from Turtle Ridge Foundation’s 2019 Bodefest are helping get Profile’s kids to school safely. “New trail would connect Profile School to town centers” by Meghan McCarthy McPhaul, Special to the Sunday News. Read a letter from Angela Figallo McShane to Turtle Ridge Foundation. 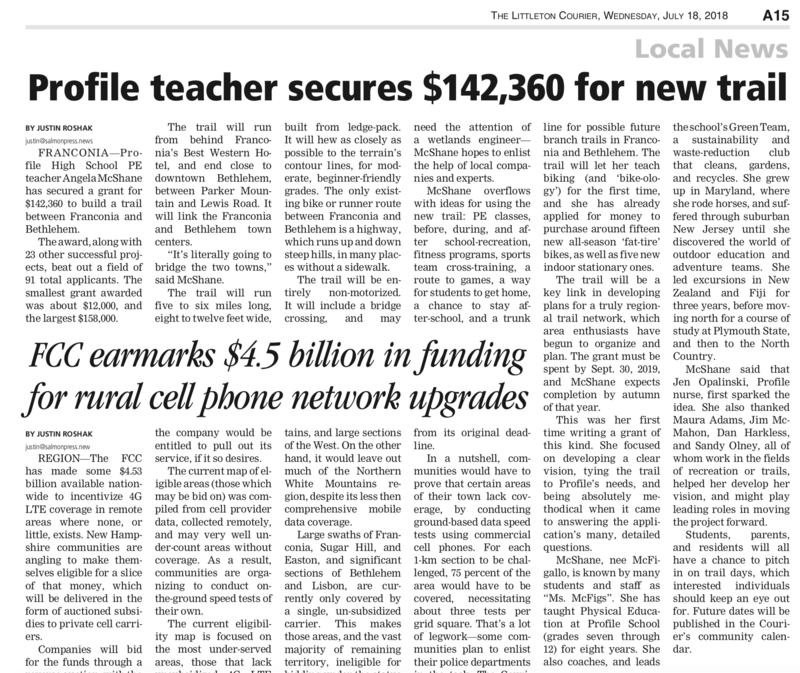 “Profile teacher secures $142,360 for new trail “ by Justin Roshak. “Trail designer sets his sights on Franconia” by Meghan McCarthy McPhaul.